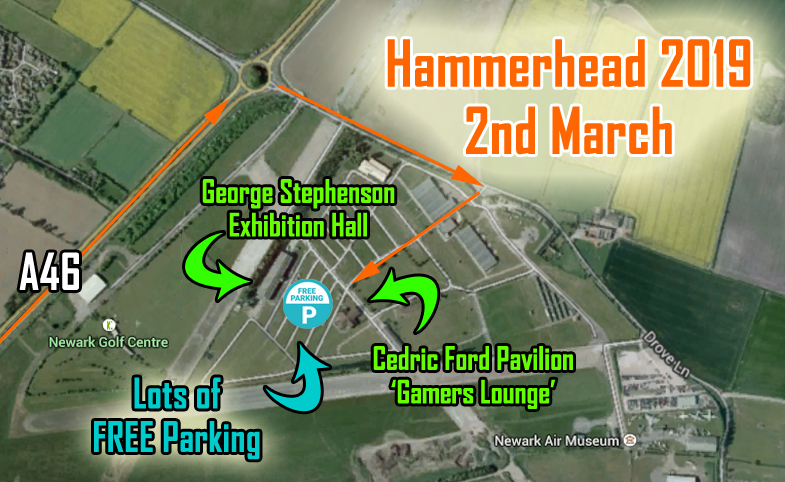 Hammerhead 2019 - two great spaces the ‘Gamers Lounge’ as well as the George Stephenson Exhibition Hall! Hammerhead 2019 will be taking place on Saturday 2nd March at the Newark Showground, Newark, from 10am until 4.30pm. Entry is £5.00 GBP per adult, £3.00 GBP for minors (16 and under), Children under 9 free. Get a free Hammerhead miniature with every Pre-show Entry Tickets bought online – Tickets on sale now! Wargames Illustrated will be running the ‘Wargames Illustrated’s Hammerhead painting competition’, 9 categories and great prizes (check website for more information) - free entry to the competition, just bring along your models! George Stephenson Exhibition Hall and the Cedric Ford Pavilion, the ‘Gamers Lounge’, offer a welcoming environment with plenty of natural light in which you can play games, shop for wargame goods from the very best UK traders and manufacturers. Up to 70 fantastic visitor participation games – Historical, Fantasy and Sci-fi, located in the central areas are the focus of the show. There are two separate catering facilities which will be serving a variety of reasonably priced hot and cold food throughout the day and a fully licensed bar located in the Gamers Lounge. All games at Hammerhead are visitor participation, which means that you are very welcome 'to have a go' at a wide variety of different historical and fantasy based games run by intrepid gaming clubs, historical societies, wargame companies and enthusiastic groups of gamers. You will be able to play a full game or simply move a few miniatures, roll some dice, have a chat with the people running the game and then move onto the next. The show provides a great opportunity to try out new or familiar game systems and spend a day indulging yourself and friends in this absorbing and fascinating hobby. Whether you're interested in The Great War, WWII, Medieval, AWI, Fantasy or Science Fiction, we are sure that you will find a selection of games you would like to play. There is an excellent selection of top traders and manufacturers selling a wide variety of wargaming wares, miniatures, terrain and scenery, books and gaming accessories. Hammerhead show will be hosting the very popular Tabletop Sale. With no commission, you keep all the profits. 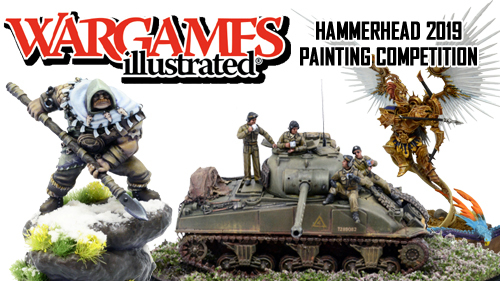 Hammerhead 2019 has not one, but two specially designed miniatures on offer! Emperor Napoleon and the Duke of Wellington. These will be available for the first time on the day of the show for the token price of £1.00 GBP each. However, if you purchase your Hammerhead Entry ticket online prior to the show, you can choose one of these great miniatures for FREE!. See website for details. Parking is plentiful and FREE. Newark Showground is only a few minutes from the A1 at Newark Junction. Looking forward to seeing you there, for a great day out! Hammerhead 2019 is being run with assistance from Kallistra Ltd and the Forest Outlaws Wargamers Club. Supported by Miniature Wargames, Wargames Illustrated, Wargames Soldiers and Strategy magazines and GCN.